This PSD Mockup applies your corporate or personal company brand design onto a business card product. In this mockup the featured business card floats above a mini stack of cards on a flat surface. The final rendering is an isometric shot which includes embossed lettering effect on the cards. 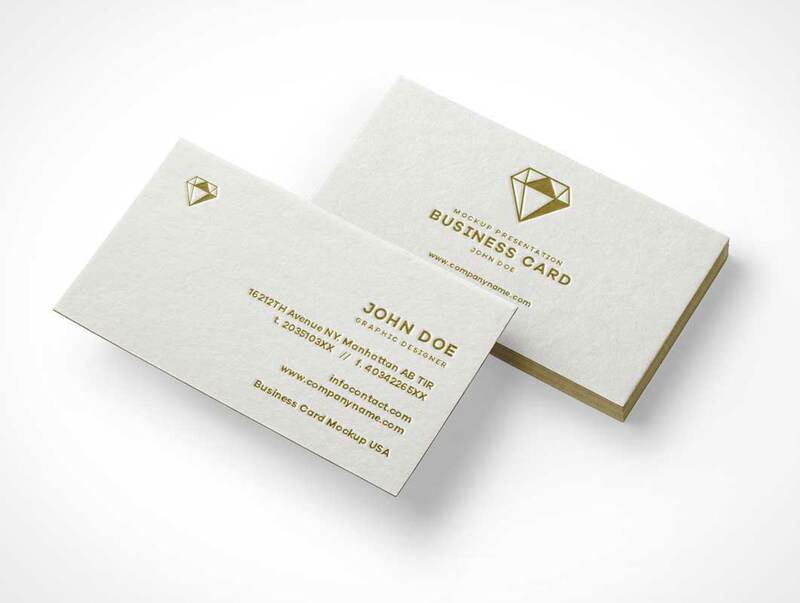 To convey quality and prestige, the edges of the business cards are presented as a gilded gold leaf effect. Shadows and highlights for this mockup are offered on individual layers and can easily have their opacity levels modified to suit your needs. The background is entirely transparent allowing for custom surface environment textures to be dropped in behind the cards.